Physical therapy documentation software takes a lot of burden off your shoulder. It comes with a variety of helpful features such as electronic documentation, therapy scheduling, billing, and reporting. All of these things play key roles in patient retention which is one of the top goals of a physical therapy clinic. By keeping patient attrition low, you can grow your business easily. In a fast-paced medical practice like physical therapy, documents and records are often lost or misplaced. It is of utmost importance to keep medical records secure, and practitioners can be charged with negligence if they don’t properly maintain patient records. Physical therapy documentation software eliminates this risk and other disadvantages of manual medical records. First, manual medical records are costly. Filling, assembling, retrieving, and distributing hard copies come with a cost. Protecting them from water, fire, and theft are also expensive. Duplicate patient testing due to lost test results is even worse. Proper scheduling is a big part of patient and therapist relationship. Sadly, even the smartest, most organized administrative staff is prone to errors. This could annoy patients and result in fatal mistakes. There are medical errors that could not be easily prevented, but those that involve appointment scheduling are easily avoided with physical therapy documentation software. There are lots of chances something can go wrong with physical therapy billing. This is unfortunate because the success or failure of your practice depends on a lot on your billing. If you charge a client less than you actually need to, your revenue suffers. Yet if you charge too much, there is a huge chance your patients will file complaints and switch to the competition. More than that, disciplinary complaints have a profound effect on the confidence of medical practitioners, according to researchers from the Department of General Practice in the Dunedin School of Medicine. Even if it does not involve any legal actions, disciplinary complaints tarnish therapist-patient relationships and cause shame to the professional. Again, risks can be reduced by using software that is intended especially for your PT practice. 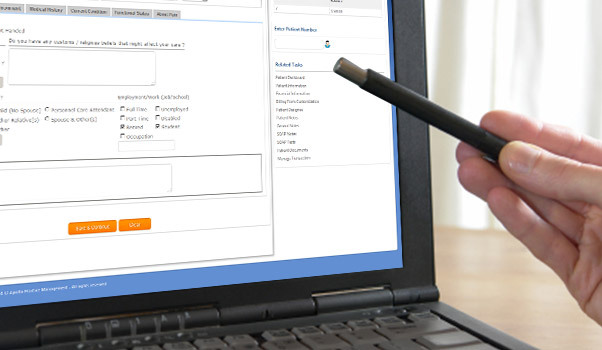 Physical therapy clinics require the development of practice management reports that can easily be accessed anytime. Physical therapy software programs make things easier by providing real-time information for dropped off patient reports, aged accounts receivables, practice income report, missed appointment reports, no show reports, and a whole lot more. PT software programs can also draw financial reports such as expenses, outstanding bills, debts, and insurance claims. Additionally, the productivity report feature allows you to track your team’s productivity. This way, you can manage your team effectively for improved efficiency and better customer service. Patients are the lifeblood of your PT practice. Keeping them satisfied with your services should be on top of your property. Improving patient retention, fortunately, is now easier with the help of programs and apps that improve communications, billing, scheduling, documentation, and reporting. Get a physical therapy software program today so you can achieve high patient retention and low attrition rates.